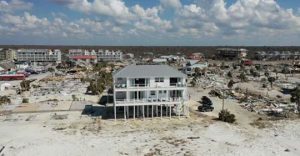 In the wake of Hurricane Michael, one home survived in Mexico Beach, Florida. The house stayed upright because it was built last year to codes that were even more strict than laws required. We can account for increasing weather events by building with durable materials and best-practice ways. Read more at the link below!